In the 1920s, astronomer Edwin Hubble discovered the true nature of galaxies as "island universes." Some 80 years later, the telescope named in his honor has made thousands of breathtaking pictures of galaxies. 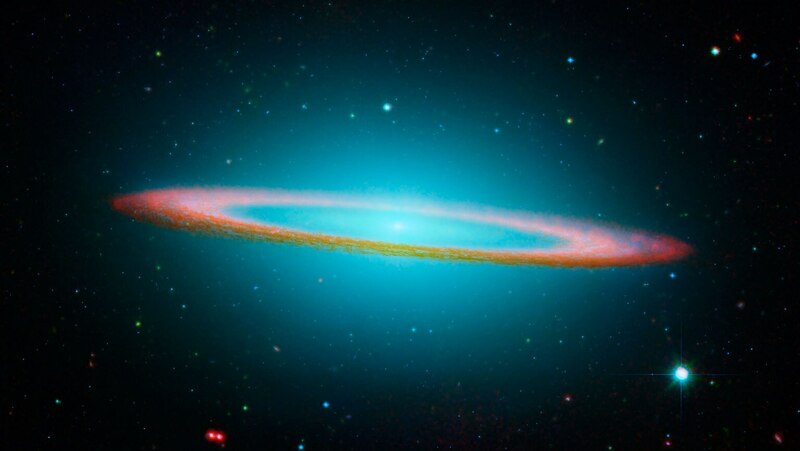 Focus on one in particular—an edge-on view of the striking Sombrero galaxy.